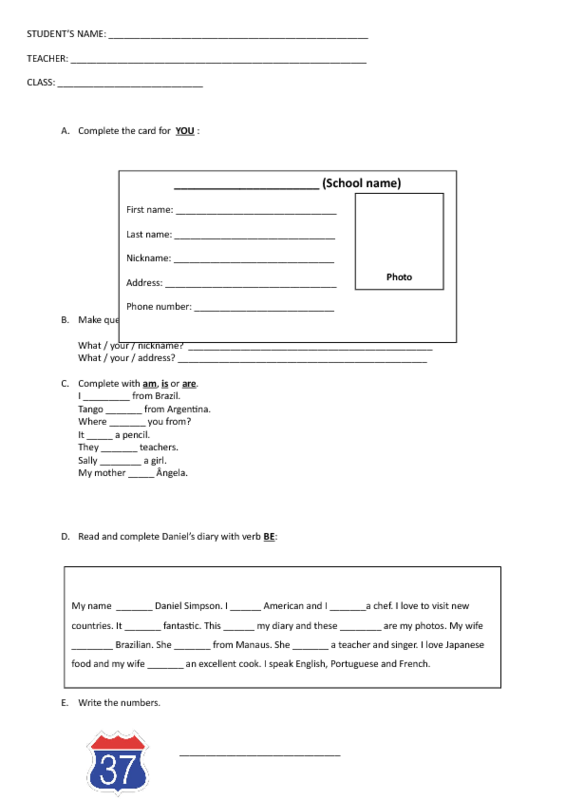 This worksheet deals with the verb to be, numbers, articles and some classroom objects. It is a simple review. It is designed for elementary students or beginners. You can add more exercises and use them in class to revise.